What is Match Race Madness? 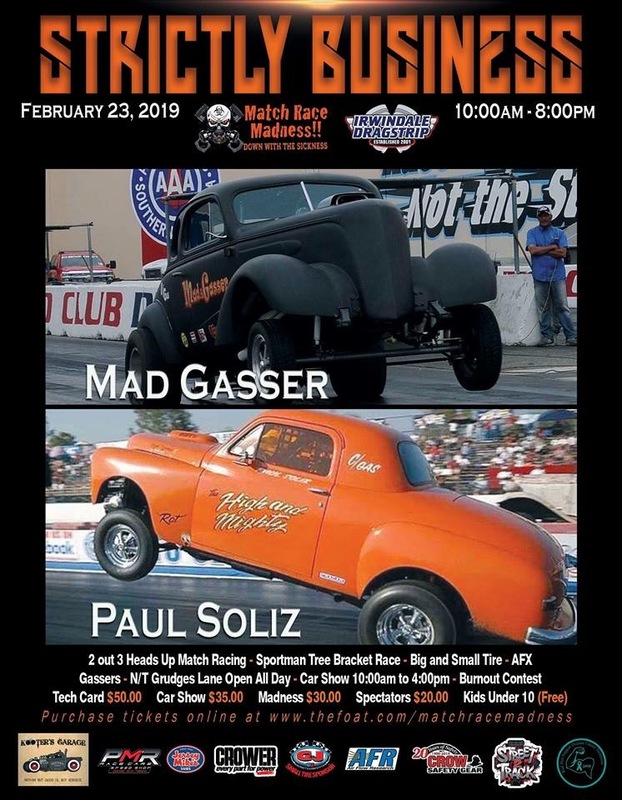 Returning to Irwindale Speedway’s dragstrip in 2019 is Match Race Madness. This event was held in June of last summer and immediately got us excited about grudge style drag racing. Steve Sherman, the promoter for Match Race Madness is no stranger to drag racing. His late father,Joe Sherman was instrumental in developing the 383 Stroker motor. At just 16 years old, Steve was already behind the wheel racing and taking down some of the biggest names in the So Cal area. 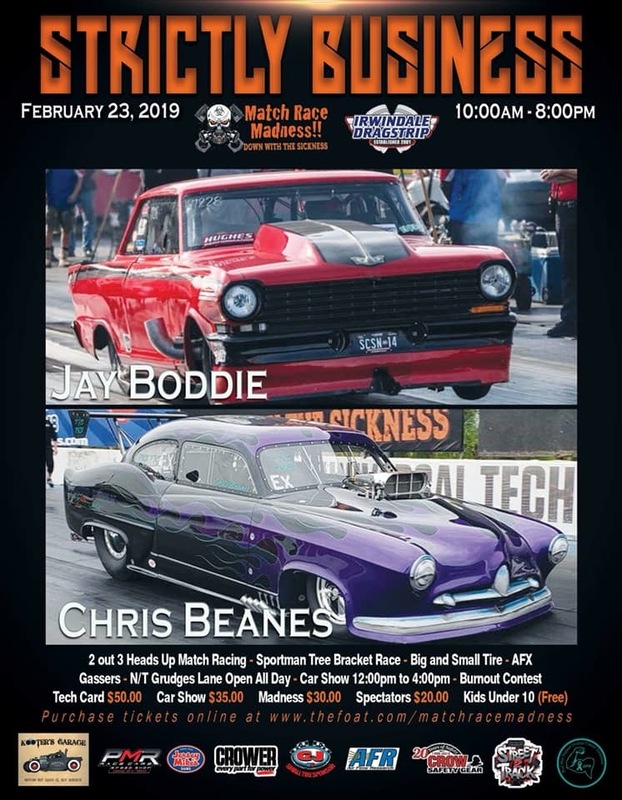 Steve’s father Joe passed away in February 2018, and while Steve didn’t carry on the family tradition of being an engine builder, he is finding new life in that of a promoter with his Match Race Madness concept. The idea is that Steve put countless hours into finding two of the most evenly matched cars from any index and puts them together in a best 2 out of 3 match up. Steve spends months preparing for his events to find exactly the right match for a driver. He reviews ET, Make, Model, Paint color and finally reaches out to the drivers to setup an all out match of grudge races. Sometimes there’s big money involved, sometimes the drivers are just going at it for bragging rights. Feb 23rd will see over 20 preset matches but in addition, you can come out and find your own match. “Madness” racing, as Steve calls it, allows someone to participate in time trials and deliver their time slips to Steve at his MRM booth. From there, the MRM team looks for the best pairing and assigns a race. In the end, it’s all about the driver that can perform under pressure in those two out of three runs. “It’s really just about putting on a good side by side battle that is going to finish within a half a car length if all goes well,” Sherman added. The event will also feature a few other styles of racing, such as Index, Bracket and A-B competition for both big tire and small tire. Lastly, Steve has invited anyone with show car to enter the charity car show that will be happening in the parking area from 11-3pm You’ll receive preferred parking and the opportunity to win a trophy for your street rod or cruiser.